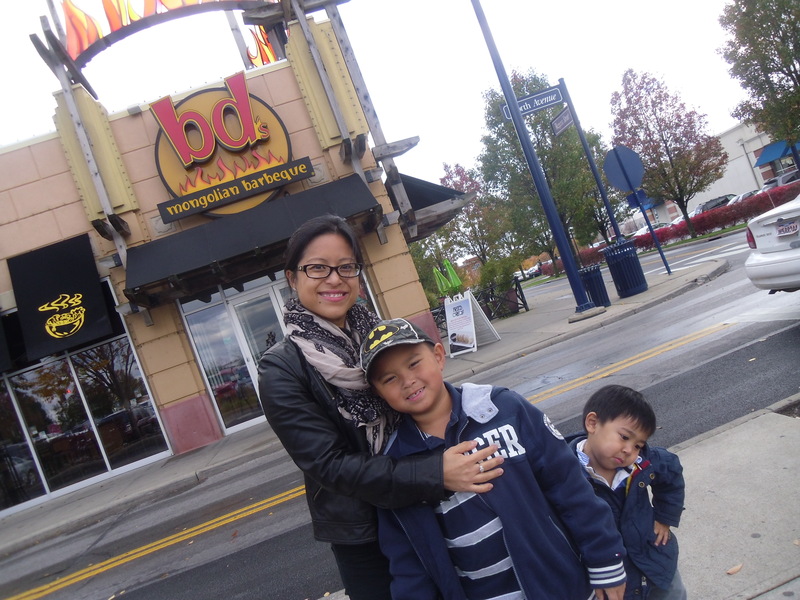 On Saturday Oct 20th, 2012, Maria, Tristan, Mason and I visited BD`s Mongolian Barbeque in Columbus, Ohio. 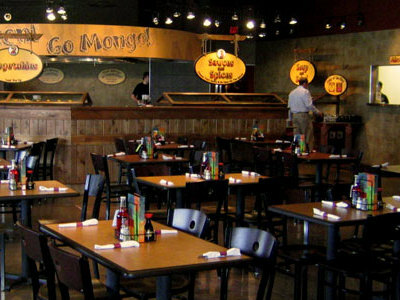 We have tried the Mongolian Grill before in Markham, Ontario so we wanted to give this restaurant a try. 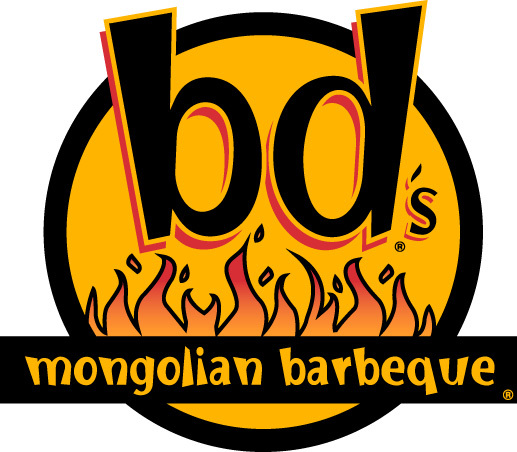 Similar to the Mongolian Grill, BD`s Mongolian Barbeque allows you to create your own bowl, and then the cooks prepare your meal on the hot grill. 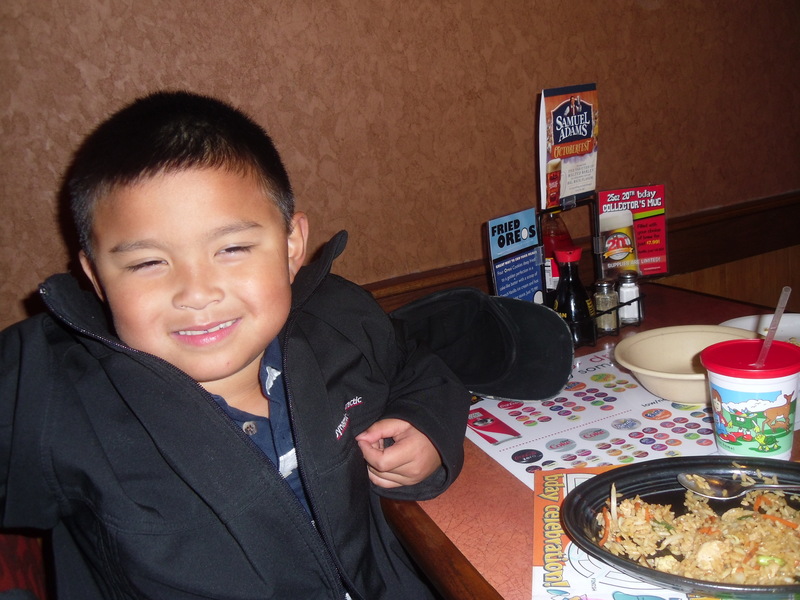 Step 1: Choose your meat & seafood from a selection of chicken, lamb, strip steak, pork, ribeye, sausage, crab, scallops, shrimp, pasta, calamari, rice noodles, mahi mahi and/or meatballs. 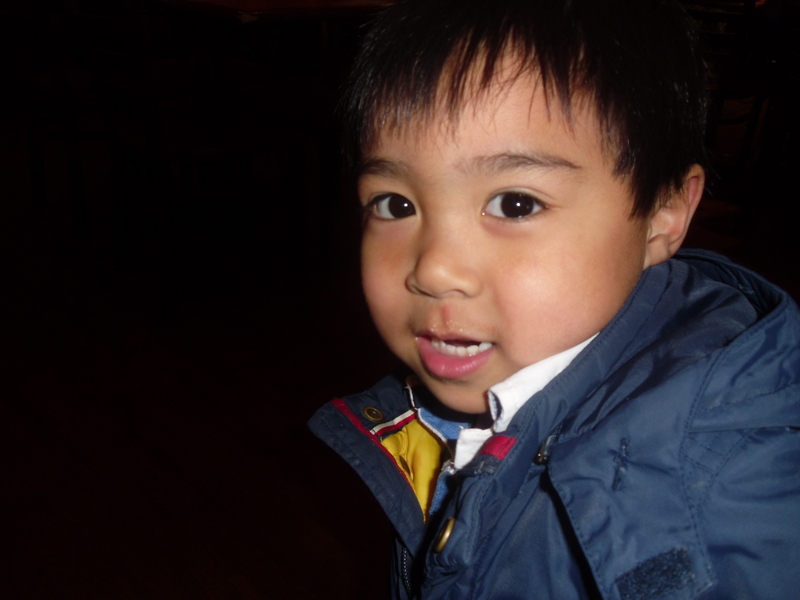 Step 2: Choose your vegetables from a selection of bean sprouts, broccoli, carrots, cilantro, baby corn, edamame, jalapenos, mushrooms, onions, pea pods, peppers, pineapples, red skin potatoes, green onions, tomatoes, water chestnuts, egg, tofu, black beans and corn. 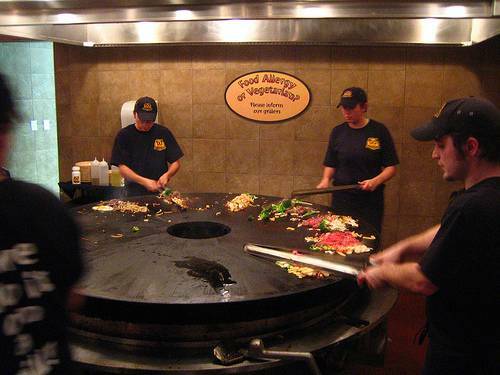 Then you can eat your bowl with either rice, tortillas, brown rice, lettuce or a burger bun.